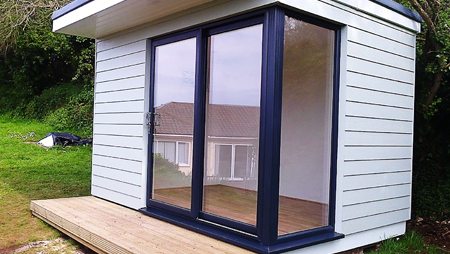 projects for many customers throughout Devon. 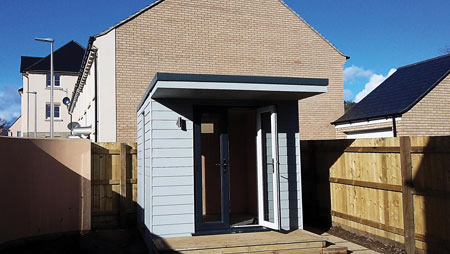 We at Creative Garden Studios were requested to build a new garden building for a client in Lympstone. The client got in touch when they wanted a hobby room and storeroom in their garden. 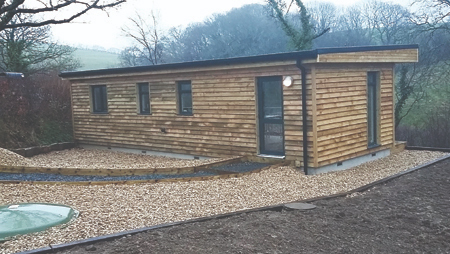 We at Creative Garden Studios were requested to build a new garden building for a client in Kingsbridge. 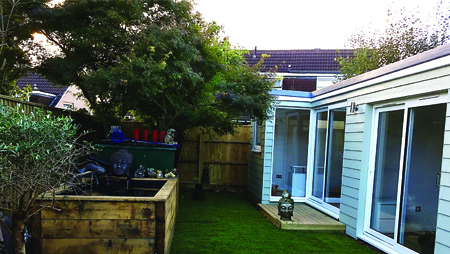 The client got in touch when they wanted a new hobby room with fencing and decking in their garden. We at Creative Garden Buildings demolished and rebuilt this lovely music recording studio for a client in Bishopsteington. 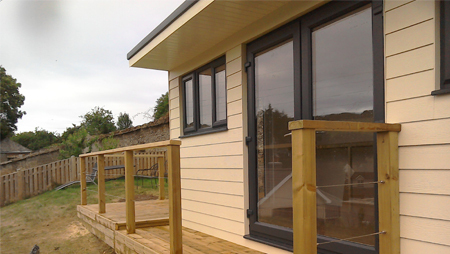 We at Creative Garden Buildings built this stunning garden studio for a client in Lyme Regis. 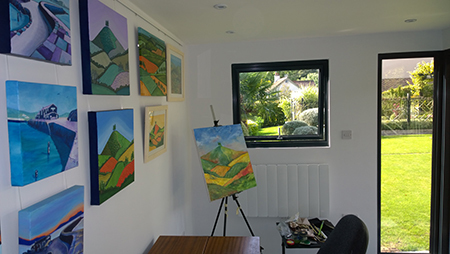 The client got in touch when she wanted her very own art studio to be installed in her garden. We at Creative Garden Buildings built this beautiful garden pod for a client in North Devon. The client got in touch and he decided that he needed somewhere to go and so his work separately. 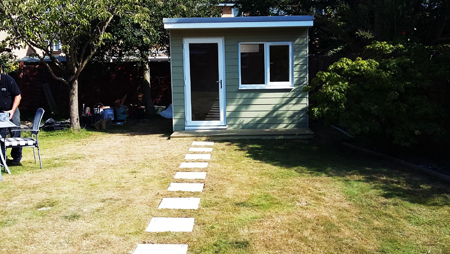 For this homeowner we created a home photographic studio in their garden measuring 2.5m x 2.5m (6.25 sq m). We created an art shed for Sheldon in Teign Valley. The building is approximately 11m x 4m (44 sq m). 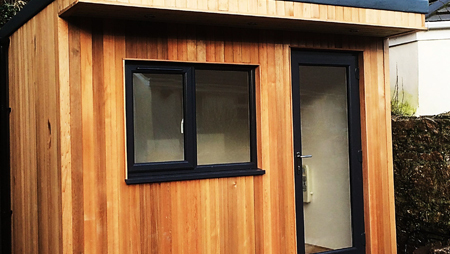 We at Creative Garden Buildings installed this stunning garden office for a client in Cullompton. 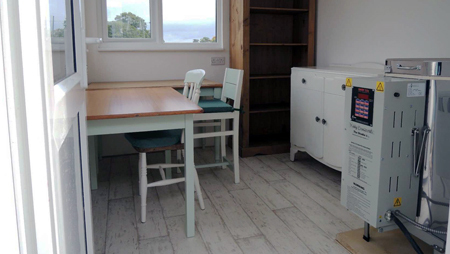 Our professional team at Creative Garden Studios installed this stunning pottery studio for a client in Somerset. 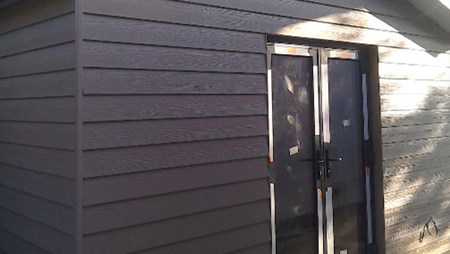 The studio was constructed using high quality Hardieplank cladding with white PVC-u windows and doors. 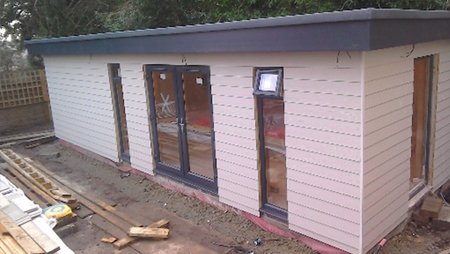 This stunning studio was contructed in Brixham, it was designed with maximum utilisation of natural light and maintenance free exterior cladding. 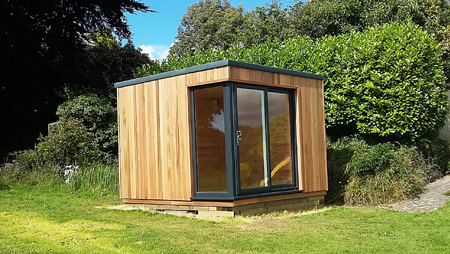 This studio was constructed by our client, a highly accomplished musician who required a dedicated space in the garden for practice, tutorials and commercial sound recording.